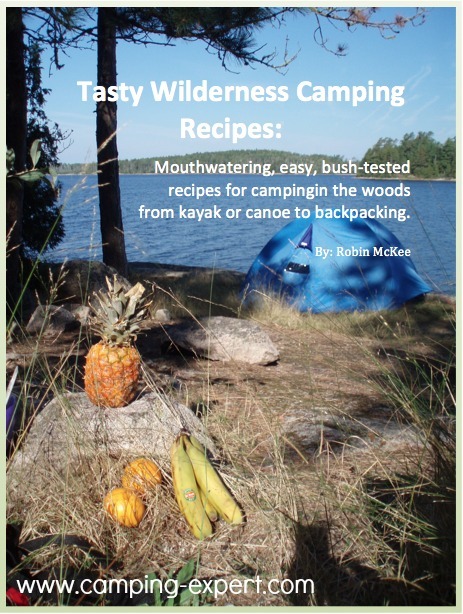 Information on essential canoe camping gear such as boat kit, plus articles on canoe accessories. Plus advice on choosing the best canoe supplies for your next adventure. You will be spending a lot of time in your personal floatation device (PFD). Learn how to size a life jacket that fits well and comfortable, so you don’t feel like a child in an oversized drowning device! There are also many different styles of life jackets (some that even inflate if you fall in the water), so you won’t even know you’re wearing a life jacket! Legally, you need to have a boat kit whenever you are on the water in Canada. These items are very useful if you get stuck paddling late at night, or if something happens… thus it’s law here. · Lifejacket or PFD for each person on board. · Sound signalling device- I like to have a whistle on my PFD so it’s readily available. · Buoyant heaving line that is 15 metres long. · Bailer – this can be as simple as a bucket or container that you keep all of the other stuff in such as the heaving line and the flashlight etc). · Magnetic compass. I like to keep this attached to my map. · I also recommend a back-up watertight flashlight. · And a emergency reflective blanket. · Plus a spare paddle in case someone’s breaks or gets lost. Repair kits are important for safety, in case you accidentally get a hole in your canoe. You might be paddling along the shore and accidentally hit a rock. You’ll want some materials to help fix the hole so that it’s not leaking as much so that you can make it out of the park. Your repair kit will depend on your type of canoe- plastic, Kevlar, aluminum, or wood. Depending on your type of canoe, you can purchase pre-made kits for usually less than $100, which will do most repairs and help you get out of the park. http://oakorchardcanoe.com/repair.php, has lots of great kits for many different kinds of canoes. Save your shoulders when portaging with comfy cushion Yoke Pads. I have tried many styles of yoke pads and recommend my suggested and comfiest canoe yoke pad. Learn about more canoe accessories (including my suggested canoe yoke pad) that will make your experience top notch! Have you ever wondered about the different kinds of canoe paddles and whether the bent shaft paddle is worth it. Maybe you’re looking to purchase a new canoe, and want to learn about the different manufacturers and even the best models are? Or, perhaps you want to know the best yoke pads for portaging a canoe? All this information on canoe camping gear is here, plus more! Choosing a Canoe – check out different canoe manufacturers, and types of canoes. Learn about the styles, and what they’re made with and what different canoes can be best for. Paddle – learn about the different types of paddles. From bent shaft paddles to the various types of straight shaft paddles made of wood to synthetic materials. Camping Accessories and supplies – Learn more about smaller extra canoe camping gear. Canoe Camping checklist – find out the exact gear list of stuff that I bring canoe camping and also how to choose the best items when you’re heading out on a trip. 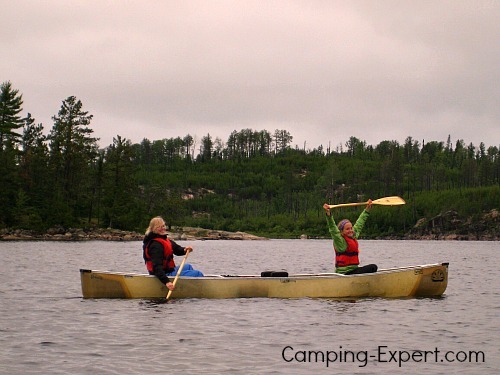 Canoe Camping – check out great articles on canoe camping- from canoe safety and basics to great camping locations, and even information on building your own canoe!